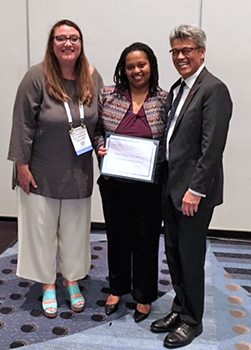 Dr. Nap Hosang and MPH student Elham Hassen were both presented with awards from the Population, Reproductive, and Sexual Health Section of the American Public Health Association (APHA) at the APHA annual meeting and expo in Denver. Hassen received the 2016 Outstanding Young Professional Award and Dr. Hosang received the 2016 Carl S. Schultz Award for Lifetime Achievement. The Outstanding Young Professional Award honors individuals who deserve recognition early in their careers and the Carl S. Schultz Lifetime Achievement Award recognizes individuals who have made career-long contributions. 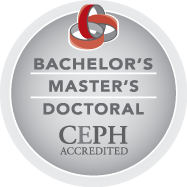 Founded in 1975, the Population, Reproductive and Sexual Health Section of APHA strives to build bridges between local and global reproductive health issues, between research and public policy and advocacy, and across academic disciplines and professions.